This week’s GladiatHer to Watch was just selected as the first overall pick in the National Women’s Soccer League’s 2014 College Draft. 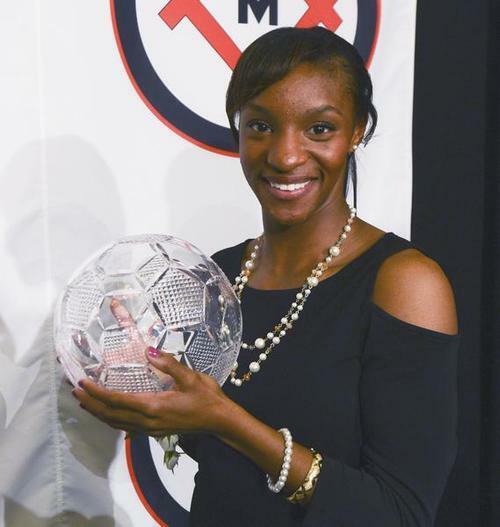 The Washington Spirit, selected former UNC standout, Crystal Dunn. The midfielder is a three-time ACC player of the year (twice defensive, once offensive) and the winner of the Hermann Trophy in her junior year. Her eight goals helped lead the USA to the FIFA U-20 World Cup title in 2012. Dunn’s proven prowess on the soccer field and her potential for even more greatness makes her worth keeping an eye on.